Darlene Worthington, age 70, of Zeeland, passed away on Tuesday, May 08, 2018 at her home following a lengthy battle with Lewy Body Dementia. Darlene was a hard worker and loving mother and grandmother who willingly sacrificed for her family. 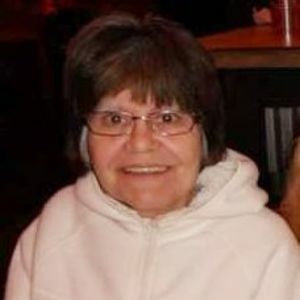 Darlene is survived by her children, Tracey Bryan of Zeeland, Tammy (Joshua) McCluskey of Zeeland, Larry (Christine) Worthington of Allendale; grandchildren, Kirsten Perkins, Robert Giesken, Devin Esquivel, Kayla Esquivel, Dylan Worthington, Skylar Worthington; four brothers and two sisters. Funeral services will be 1:00pm Friday, May 11 at Yntema Funeral Home, 251 S State St., Zeeland. Burial will be in Restlawn Memorial Gardens. Visitation is scheduled for 11:30-12:30 Friday also at the funeral home. Memorial contributions may be made to the Lewy Body Dementia Association. Add your thoughts, prayers or a condolence to Darlene's guestbook. 912 Killian Hill Road S.W. Your inquiry has been forwarded to Yntema Funeral Home.